Depending on where you have your Nest Cam set up, you might receive more notifications than you really need. However, you can customize your Nest Cam notifications so that you only the receive the ones that you truly care about at times when you need them. You can choose what kind of alerts you want, when you want to receive them, and how you want to receive them. Here’s how to customize it all. 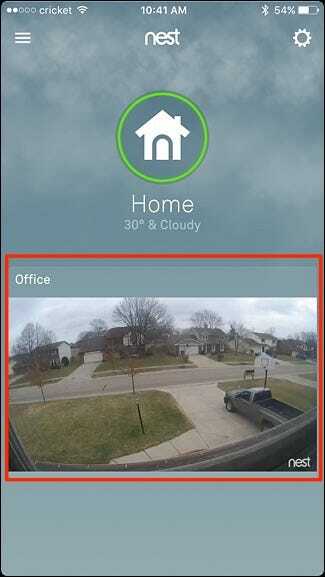 First, open up the Nest app on your phone and tap on your Nest Cam’s live view. Scroll down to the bottom and tap on “Notifications”. On the next screen, there are three different sections: When, How, and About. 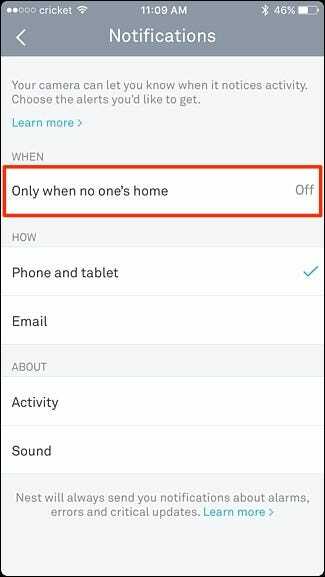 Start by tapping on “Only when no one’s home”. 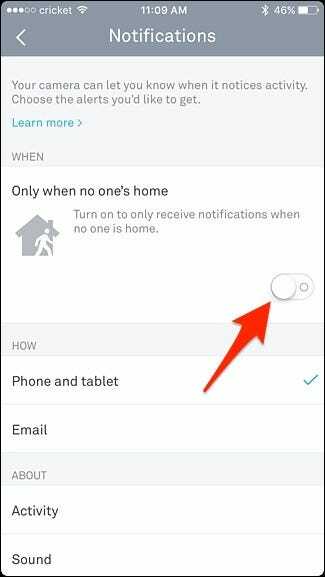 If you only want to receive notifications when you’re not home, tap on the toggle switch to turn it on. Otherwise, leave it off if you want to receive notifications 24/7, whether you’re home or not. 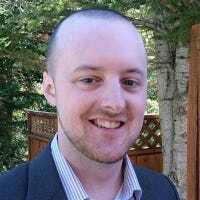 Under the “How” section, you can choose where your notifications will be sent, either as a push notification on your phone or tablet, or through email. 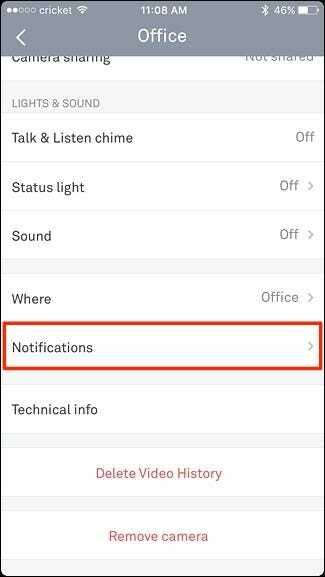 By default, notifications are sent as push alerts to your mobile device, but you can have both enabled if you want. 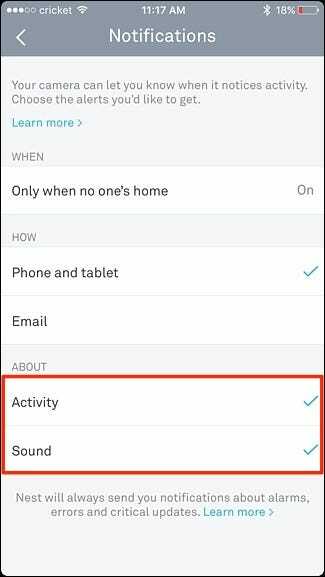 Below that, in the “About” section, you can choose to receive notifications whenever your Nest Cam detects motion by selecting “Activity”. 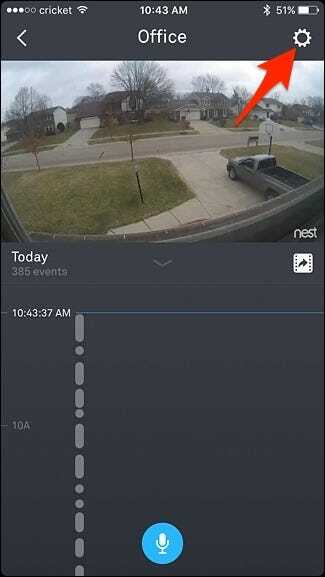 You can also select “Sound” and receive a notification whenever any kind of sound is detected by the Nest Cam, whether or not motion is detected. For sound alerts, though, you’ll want to make sure that your Nest Cam has audio capture enabled. Otherwise, sound alerts won’t work. 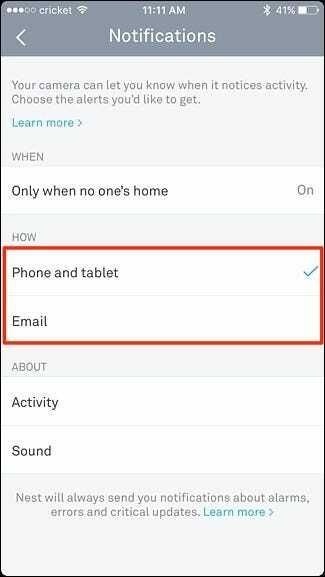 Changes will automatically save whenever you select new options, so once you’ve customized your notifications, you can exit out of the Nest app and be on your way. The next time your Nest Cam detects motion or sound, you’ll receive an alert based on the notification settings you have enabled.